Home / Resources / Ink Differently™ / October 2016 / Are You Ready for a New Year of Sublimation Success? Once such decision is whether or not to take advantage of the Section 179 deduction. Depending on your tax bracket, buying a new sublimation system now could be like getting a 35% discount! In basic terms, Section 179 of the federal tax code allows you to deduct 100 percent of any qualified equipment purchases in the tax year in which it was purchased, rather than collecting a deduction for depreciation over the next five years. In other words, if you bought a new printer that cost $1,600 before the end of the year, you could deduct the entire amount on your 2016 taxes, which would then reduce the amount of your taxable income. That makes taking advantage of our Fall Promotion on Virtuoso Desktop HD Product and Garment Decorating Systems something to seriously consider. What's more, this deduction isn't limited to one purchase. If you were seriously considering purchasing some new equipment after the first of the year, you might actually be better off closing the deal during the waning months of 2016. In reality, you should be focusing on taxes throughout the year, not just at the end. Ideally, you want to set up a strategy with the help of your accountant, business coach or financial adviser to ensure that you are taking full advantage of all the tax deductions you're entitled to as a small business owner. During these last few months of the year, a lot of sublimation suppliers are offer great deals on substrates and supplies, which can make budgeting these equipment purchases easier. In fact, many suppliers offer incredible Black Friday savings and packages, as well as continual sales and discounts throughout the season. Though it doesn't make sense to buy something just because it’s a great deal, buying strategically can help you start off 2017 ahead of the game. First, take a look at your 2016 sales: What products sold well? Does it make sense to keep a supply on hand? Doing so will give you quicker turnaround times, but will also require a bit of an investment in inventory. However, if the discounts are good, consider buying the items you sell the most of in bulk and keep them in stock. This will translate into higher margins on future sales, plus you can also benefit from discounts based on quantity. In reviewing your production over the past year, consider whether or not a larger printer may open up the doors to a wider range of services, such as large apparel prints, or help you keep up with high-volume sales. If so, a Virtuoso SG800, with a maximum media size of 13” x 19,” or a Sawgrass VJ 628, which prints full-bleed on 24” substrates, would make nice holiday presents for your business. On the other hand, your current sublimation system might be ideal in terms of image size, but a bit slow in keeping up with production. Adding another printer to your shop might be a great solution, as it would double your printing output.Many high-volume shops manage their sublimation production needs with multiple small printers, like the SG400 and SG800 printers, rather than moving up to wide format systems. Perhaps you find that you are ready to produce banners and signage, or want to venture into textile or photo panel production. The Virtuoso 25” 8-Color HD Product Decorating System featuring the Sawgrass VJ 628 printer would be the right fit for you. The industry’s first fully integrated sublimation printing solution of this size, this system offers a best-in-class print engine, sublimation ink set, software and support - all in one package. It has been designed for high-volume, high-definition printing - and is built to last, even in the most demanding production environments. SubliJet-HD Expanded Gamut (XG): This ink set offers the largest available gamut for color-critical applications and spot color matching. The SubliJet-HD XG set has C, M, Y, K, Lc, Lm, orange and blue cartridges, which makes attaining hard-to-match colors like reds, blues, purples and Pantones much easier. 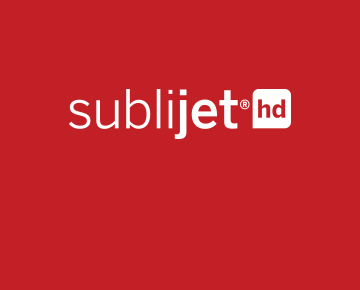 SubliJet-HD Fluorescent Spot Color (FL): Product decorators can now add excitement and visibility to their designs with SubliJet-HD Fluorescent Spot Color. The addition of fluorescent yellow and pink cartridges to the C, M, Y, K, Lc, Lm gives sublimators a true multi-purpose solution for a much wider range of applications than possible with traditional CMYK inks. If purchasing additional equipment makes sense for your operation, remember our rule of thumb for printer purchasing: buy the smallest printer that will give you the largest the image that you need for routine production. Both November and December are great months to buy. In addition to deals on substrates, sublimation dealers may be offering year-end specials on equipment. We here at Sawgrass are running a Fall Promotion on Virtuoso Desktop HD Product and Garment Decorating Systems through Nov. 8. If you were considering investing in a new sublimation printer in 2017, it might make better sense to purchase now and take advantage of any specials, while also taking advantage of the Section 179 deduction. Depending on your tax bracket, buying a new sublimation system now could get you a really nice deduction in April, as well as a great gift to yourself during this holiday season.